I really believe breakfast is the most important meal of the day and porridge with dates, apricots and cinnamon is what sets me up the best but in summer it’s not really an option. 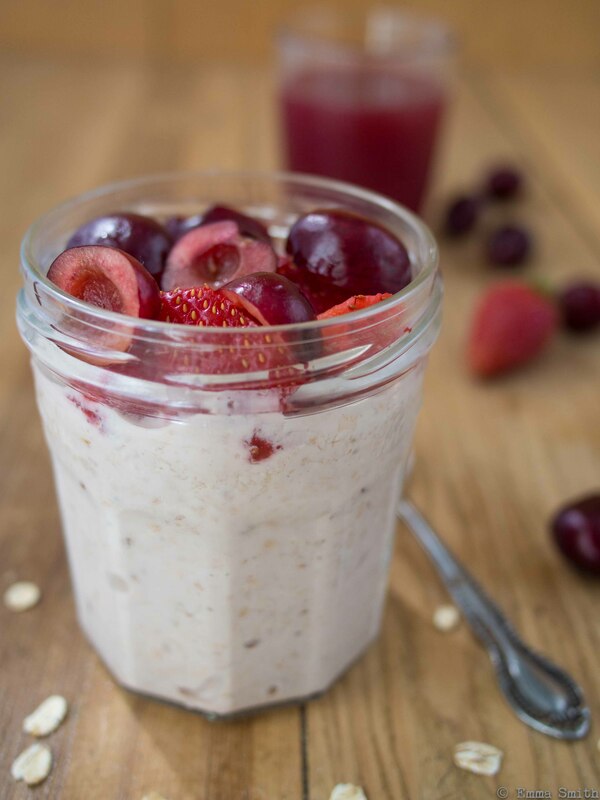 Bircher is a cold summer porridge and it’s essential ingredients of oats, fruit juice, grated apple and yogurt are a lovely blank canvas to add fruit, nuts, seeds and varying fruit juices of your choosing. Created by a Swiss doctor for his patients it’s a satisfying, slow release start to the day. Pour the oats, fruit juice and milk into a plastic food storer or ice cream tub and stir to combine. Add the grated apple and yogurt stirring well and then leave overnight to soak. Keeps well in the fridge for up to 3 days.